We are a mixed animal practice with surgeries in Strichen, Fraserburgh and Peterhead, and have been caring for the animals of Buchan since the 1950’s. Because we are passionate about animals and strive to provide excellent continuity of care, one of our pet clinics is open seven days a week and all our clients have access to 24-hour emergency care. If you are planning to travel to the EU post Brexit with your pet, it is important you contact us as soon as possible for an update of any potential new requirements. Re-entry to the UK for 4 months after the date of issue. The final arrangements have still to be confirmed depending on any negotiations but your veterinary surgery will be able to advise further. 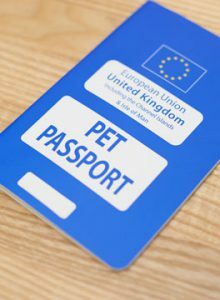 For more detailed information in regards to pet passports after Brexit, please visit the GOV website. Short-haired, long-haired, pedigree or crossbreed, we love them all! The list of cats and dogs MiPet Cover insure is extensive. You want the best for your furry companions, so our veterinary experts have created policies that offer just that. Pets are for life and MiPet Cover pet insurance covers your pal throughout all their adventures. With MiPet Cover, you’ll find 5 Star rated cover for peace of mind. Defaqto 5 Star Rating applies to Essential, Classic and Premier policies only. Coming home with a mini meower or boundless pup will offer you many precious moments with plenty of cuddles and fun. But kittens and puppies are a curious bunch and can sometimes find themselves in tricky situations, meaning a visit to the vets can come sooner than you’d expect. Our veterinary experts have created kitten insurance and puppy insurance policies that offer your new best friend the cover they deserve. 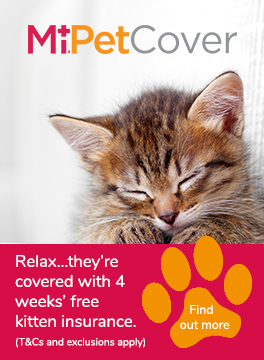 Start them off on the right paw with MiPet Cover’s FREE four week Instant policy* while you’re choosing the right level of pet insurance to suit both you and your fluffy friend. *Kitten or puppy must be between 8 weeks and 1 year old and is subject to a CVS health check. Instant cover is for illness and a 24 hours exclusion for accidents. Not all breeds of dog are eligible. Over the last two months there have been several outbreaks of equine influenza reported in the UK, Ireland, France, Belgium and Germany. Cases have occurred in both vaccinated and unvaccinated horses, although the disease in vaccinated horses has been mild. In the UK, cases have been confirmed in Essex, Cheshire, Derbyshire, Lincolnshire, Suffolk and Yorkshire. In one of these outbreaks, vaccinated horses have been affected, but the other outbreaks have occurred in unvaccinated animals. Equine Influenza is a highly contagious viral infection that is spread by coughing and sneezing. If your horse is showing any symptoms of respiratory disease, please contact us. There is no known human health risk associated with the virus. Although vaccination does not always completely prevent infection of an individual horse, it usually results in a much milder disease and reduces the risk of the horse spreading the disease to others. It is important, therefore that as many horses as possible are kept up-to-date with their Equine Influenza vaccinations. To protect your own horses and to minimise the risk of an epidemic of Equine Influenza, we recommend that all unvaccinated or lapsed horses are vaccinated as soon as possible. In addition, horses that have not been vaccinated within the last six months should receive a booster vaccination. If your horses are going to shows or events, you should monitor them closely on arrival back to yard (eg monitor rectal temperatures). Please ask your vet for advice. The Animal Health Trust gives some helpful information about what to do with flu. The Animal Health Trust are collating all information about the outbreaks, click here for further details. If you have any concerns or questions, please contact us. Colleagues across our practices have voted to support StreetVet as our small animal charity of the year, a non-profit organisation providing free and accessible veterinary care for homeless owners and their pets. Run by volunteer vets and veterinary nurses, StreetVet has grown extensively since it started in 2016, set up by just two vets working on the streets of London to help homeless pets. The charity has grown to have over 250 volunteers across nine cities in London, Bristol, Brighton, Cambridge, Cheltenham, Cornwall, Plymouth, Birmingham and Southampton. They depend entirely on donations and can perform most procedures you would come across in any normal veterinary practice. Any funds raised will go towards medicines, microchips, food and other necessities for any pets in their care. With the support of local veterinary practices in their outreach cities StreetVet can also provide out of hours care, hospital treatment and surgery where needed. And it’s not only the pets they try to help, where possible StreetVet will assist owners in any way they can, whether it’s with hostel facilities, their own medical treatment or just a listening ear. Pets have been shown to provide enormous benefits to their owners through companionship, affection, security and warmth. They can also improve mental health and feeling of wellbeing, whilst decreasing drug dependency and suicidal thoughts. Whilst on the streets homeless dogs can provide assistance to their owners and are active, stimulated, cared for and loved unconditionally. StreetVet would not be possible without the support of local veterinary practices and their army of volunteers, as well as the generosity of the general public who help by purchasing items from their Amazon gift list, fundraising, supporting their social media campaigns and offering words of encouragement. If you would like to find out more about StreetVet or would like to get involved please see their website or follow them on Facebook or Twitter. Buchan Veterinary Clinics is part of CVS (UK) Limited, a company which owns over 500 veterinary practices within the UK. Company Registration Number 03777473 – Registered Office: CVS House, Owen Road, Diss, Norfolk IP22 4ER.